Sell your products with the K2Store or VirtueMart e-commerce Joomla extensions. 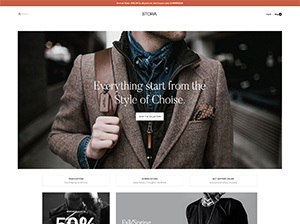 Starting a brand new online shop can be a daunting prospect, so we’ve made this unique webstore Joomla template to give you a headstart. Fully-featured and extensively-supported, StoreBox suits new internet ventures and old hands alike. A good internet shop needs a solid framework to work from, so support for popular ecommerce extensions for Joomla is a must. StoreBox is ready for VirtueMart and K2Store right out of the box, so whether you’re working with Joomla 3, there’s a solution ready to go! Highlight your merchandise with our exclusive Joomla modules and plugins. Fully-functional K2 and Article Manager blog capabilities add new layers of sales power.